This rock-hewn altar was carved out of limestone and was approximately 8 feet on each side and 5 feet high. It is located about a mile from Shiloh, and the four corners point to the four directions on a compass (Exodus 27:1-2). The remains clearly demonstrate that animals were sacrificed on this high place. Photo: Yoel Elitzur. The open-air altar shrine, called a bamah (plural bamot), is known through several books of the Biblical canon—but none more so than the Book of Kings, where they play a prominent role in assessing the performance of a king. Often referred to as “high places” in translations of the Bible, bamot were worship sites that usually contained an altar. 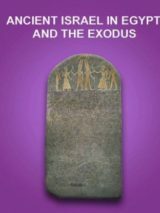 A general understanding about the bamah and how it functioned can be gained by using evidence from the Biblical text as well as archaeology. The term bamah can mean back, hill, height, ridge or cultic high place.1 In the Biblical text it is used to mean “the back of one’s enemies” (Deuteronomy 33:29), “heights” (Deuteronomy 32:13; Isaiah 58:14; Micah 1:3; Amos 4:13; Haggai 3:19; Psalm 18:34), “back of clouds” (Isaiah 14:14) or “waves of sea” (Job 9:8).2 Because of this, eminent scholar Roland de Vaux said, “The idea which the word expresses, therefore, is something which stands out in relief from its background, but the idea of a mountain or hill is not contained in the word itself.”3 This could explain why this word is used even though some of the shrines were not located on hills. The Ugaritic and Akkadian cognate usually means an animal’s back or trunk.4 The Akkadian can also mean land that is elevated.5 In the text of the Bible they can be found on hills (2 Kings 16:4; 17:9-10; 1 Kings 11:7), towns (1 Kings 13:32; 2 Kings 17:29; 23:5) and at the gate of Jerusalem (2 Kings 23:8). Ezra 6:3 says they were in the ravines and valleys. The position of a bamah in the valley can also be seen in Jeremiah 7:31; 32:35. Even though some scholars translate bamah as “high place” or “hill shrines,” there is reason to believe that many of the shrines were located in urban centers.6 Since they are often found on hills, at city gates (2 Kings 23:8) and in valleys (Jeremiah 7:31), Martin J. Selman, director of postgraduate studies and deputy principal at Spurgeon’s College, London, says, “The essential feature of a bamah was, therefore, not its location or height, though it usually consisted of at least a [human-formed] platform, sometimes with an associated building or buildings (2 Kings 17:29, 23:19), but its function as a site for religious purposes.”7 It may then be easiest to understand high places not as a reference to temporal space, but to a “higher” theological place. De Vaux suggested that Israelite bamot were modeled after the Canaanite ones.12 The bamah is also known from the Ras Shamra text.13 In Megiddo, located in the Carmel Ridge overlooking the Jezreel Valley from the west, a bamah was believed to have been found. The structure was a 24 x 30-foot oval platform, which stood six feet tall, was made of large stones and had stairs that lead to the top.14 A wall surrounded the structure. A cultic structure found in Nahariyah, located in Western Galilee, was discovered in 1947 and dates to the Middle Bronze Age, but was used until the Late Bronze Age.15 It consisted of a circular open-air altar, which compares to the one found in Megiddo, and a rectangular building probably used as a temple workshop.16 It is also believed that two bamot were found on a hill near Malhah from the seventh and sixth centuries B.C.E. De Vaux says, “There is no need for hesitation: these installations were bamah. Their dates range from the old Canaanite epoch to the end of the monarchy in Judah.”17 Therefore, it seems that the archaeological evidence supports the Biblical account in placement of the bamot and the time periods in which they were used. This bamah altar came from the high place found in Beersheba and dates to the eighth century B.C.E. It had been disassembled, some think during the time of King Hezekiah’s religious reforms (c. 715 B.C.E.). They were later used as wall stones, but the altar was easily reconstructed, as the stones were a different color than the rest of the stones in the wall. The four horns are a typical altar style that likely derive from Exodus 27:2. Photo: Tamarah/Wikimedia Commons. It is the general consensus that before the Temple was built in Jerusalem, the people legitimately worshiped at the bamot.18 Leading scholar Beth Alpert Nakhai says, “The long legitimate bamot and the ancient sanctuary at Bethel were not viewed as symbols of Israel’s wicked past.”19 However, the text does not really say that this type of worship was all right even at that time. In fact, the stress on “the place” suggests that Solomon should be getting on with the building of the Temple in order for these shrines to be done away with and that the shrines were slowing down the process. Even at this stage the shrines were viewed as less than the ideal, especially considering that the ideal was possible. Yet, the understanding of “the place” is not simple. The phrase “the place where God is to set his name” is only found in three Old Testament books, Deuteronomy, Chronicles and Kings. Some argue that the bamot were not the issue themselves, but the issue was syncretism and sacred pillars and poles. However, the vast majority of times the bamot are mentioned, it is in connection to kings who receive a positive review (1 Kings 15:14; 22:43; 2 Kings 12:3; 14:4; 15:4; 15:35; 16:4; 18:4; 18:22; 23:5-20). In fact, in the case of Asa (15:14) he is said to have displaced the Queen mother because of her use of an asherah (v.13). Walsh says, “A king’s attitude toward the high places will be one of the criteria on which the narrator judges him: If he attempts to destroy them, he is good; if he leaves them alone, he is mediocre; if he worships there, he is evil to the core.”22 This suggests that while there were times when syncretism and asherim use were a part of the bamot (1 Kings 11:7; 12:31-32; 13:2; 13:22-33; 14:23; 17:9-11; 17:29-32; 21:3), there were more times when these elements were not present. Therefore, the text seems to indicate that there was something wrong with the bamot themselves. This theory that the condemnation is a reflection of a later understanding would also explain the exceptions to criticism of the high place, such as 1 Samuel 9:12-14, 19, 25 and 1 Samuel 10:5, 13. In other words, the actual opinion of the people of the monarchy comes through in the text, but that later theology has begun to condemn worship in places other than the Temple in Jerusalem. Jeffery J. Niehaus of Gordon-Conwell Theological Seminary says, “The Carmel event clearly shows that Yahweh can approve a sacrifice not offered at the ‘chosen place,’ and in a most dramatic way, when it is offered in a special context and for a special purpose.” Yet, the bamot are not “special” as in unique or uncommon; they are a place of ongoing regular worship. Therefore, the example of Carmel only heightens the contrast between a special theophanic event and an ongoing part of the cult, which demonstrates a stage in the development of centralization. 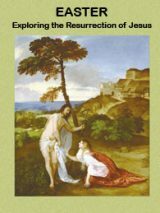 Ellen White, Ph.D. (Hebrew Bible, University of St. Michael’s College), formerly senior editor at the Biblical Archaeology Society, is now contributing editor. She has taught at five universities across the U.S. and Canada and spent research leaves in Germany and Romania. She has also been actively involved in digs at various sites in Israel. Did the Northern Kingdom of Israel Practice Customary Ancient Israelite Religion? Yoel Elitzur and Doron Nir-Zevi, “Four-Horned Altar Discovered in Judean Hills,” Biblical Archaeology Review, May/June 2004. André Lemaire, “Another Temple to the Israelite God,” Biblical Archaeology Review, July/August 2004. Ephraim Stern, “Pagan Yahwism: The Folk Religion of Ancient Israel,” Biblical Archaeology Review, May/June 2001. Beth Alpert Nakhai, “What’s a Bamah? How Sacred Space Functioned in Ancient Israel,” Biblical Archaeology Review, May/June 1994. Amihai Mazar, “Bronze Bull Found in Israelite ‘High Place’ from the Time of the Judges,” Biblical Archaeology Review, September/October 1983. 1. Martin J. Selman, “1195 במה,” in New International Dictionary of Old Testament Theology and Exegsis 1, (Grand Rapids, MI: Zondervan, 1996), p. 670. 2. An example of a bamah can be found in Yigael Yadin, “Beer-Sheba: The High Place Destroyed by King Josiah,” Bulletin of the American Schools of Oriental Research 222 (1976), p. 10. It should be noted that while Yadin claims that this is a bamah, the original excavator of Beer-Sheba claimed that the bamah there had been destroyed in Stratum II. 3. Roland de Vaux, Ancient Israel: Its Life and Institutions (Grand Rapids, MI: Eerdmans, 1961), p. 284. 4. It has been claimed that other than when used of Israel, the term bamot is never used cultically of any other culture other than Moab. In the Biblical text it is only found in connection to Moab (1 Kings 11:7; Isaiah 15:2; 16:12; Jeremiah 48:35), and it is also found on the Mesha Stela at 11.11, 13. However, it is not found in any Canaanite literature or any Phoenician or Ugaritic texts (In Numbers 33:52 it appears to refer to the Canaanites, but that they were camped in the plains of Moab maintains the exclusive connection with the Moabites). For more on the connection to Moab, see J. M. Grintz, “Some Observations on the High-Place in the History of Israel,” Vetus Testamentum 27 (1977), p. 111–113. 5. De Vaux, Ancient Israel, p. 284. 6. John H. Walton, Victor H. Matthews and Mark W. Chavalas, The IVP Bible Background Commentary: Old Testament (Downers Grove, IL: InterVarsity, 2000), p. 359. 7. Selman, NIDOTTE 1, p. 670. 8. J. Robinson, The First Book of Kings, Cambridge Bible Commentary (New York: Cambridge University Press, 1972), p. 139. 9. De Vaux, Ancient Israel, p. 285. 10. Mordecai Cogan, 1 Kings, Anchor Bible 10 (New York: Doubleday, 2001), p. 184. 11. W. Boyd Barrick, “The Funerary Character of ‘High-Places’ in Ancient Palestine: A Reassessment,” Vetus Testamentum 25 (1975), pp. 565–595. 12. De Vaux, Ancient Israel, p. 284. 13. John Gray, I & II Kings (Philadelphia: Westminster Press, 1963), p. 116. 14. De Vaux, Ancient Israel, p. 284. 15. Othmar Keel and Christoph Uehlinger, Gods, Goddesses, and Images of God in Ancient Israel (Minneapolis: Fortress, 1998), p. 29. 16. Keel and Uehlinger, Gods, Goddesses, pp. 29–30. 17. De Vaux, Ancient Israel, p. 285. 18. Walton, Matthews and Chavalas, The IVP Bible Background, p. 359. 19. Beth Alpert Nakhai, Archaeology and the Religions of Canaan and Israel (Boston: ASOR, 2001), p. 69. 20. Selman, NIDOTTE 1, p. 670. 21. Selman, NIDOTTE 1, p. 670; De Vaux, Ancient Israel, p. 286. A massebot “as an object of cult, it recalled a manifestation of a god, and was a sign of the divine presence”; De Vaux, Ancient Israel, p. 285. This is related to the narrative of Jacob at Bethel who sets up a massebot and declares the place Beth El (Genesis 28:18; 31:13). This is related to the asherah, which represents a female deity, as opposed to the male deity of the massebot; De Vaux, Ancient Israel, p. 286 (This is debated based on evidence from Gezer and Tel Kitan, which suggests it could be either male or female according to Keel and Uehlinger, Gods, Goddesses, p. 33). This relates to the reference in 2 Kgs 3:2 to the massebot of Baal. Both seem to be represented by poles; the asherah can also be a living tree and sometimes the name of the goddess herself; the massebot can also be a stone pillar; De Vaux, Ancient Israel, p. 286. The bamot are also associated with hammanim which used to be translated “pillars of sin,” but are now understood as “altars of incense” due to the evidence provided by the Nabatean and Palmyra inscriptions (1 Kings 3:33; 22:44; 2 Kings 12:4); De Vaux, Ancient Israel, p. 286. Mazar suggests that the “Bull-shrine” he has excavated could possibly be a bamot, where either Yahweh or Baal was worshipped due to the connection both gods have with the figure of the bull. For sketches and photos of the site see, A. Mazar, “The ‘Bull-Site’ – An Iron Age I Open Cult Place,” Bulletin of the American Schools of Oriental Research 247 (1982), pp. 27–42. 22. John H., Walton, Victor H. Matthews, and Mark W. Chavalas, The IVP Bible Background Commentary: Old Testament (Downers Grove, IN: InterVarsity, 2000), p. 72. 23. See Richard D. Nelson, Deuteronomy, Old Testament Library (Louisville, KY: Westminster John Knox Press, 2002), pp. 142–161; Duane L. Christensen, Deuteronomy 1:1-21:9, Word Biblical Commentary (Nashville, TN: Thomas Nelson, 2001), pp. 230–249. 24. Richard D. Nelson, First and Second Kings, Interpretation (Louisville, KY: Westminster John Knox Press, 1987), p. 81. 25. Walter Brueggemann, 1 Kings, Knox Preaching Guides (Atlanta: John Knox Press, 1982), p. 63. 26. J. Maxwell Miller and John H. Hayes, A History of Ancient Israel and Judah (Philadelphia: Westminster, 1986), p. 202. This Bible History Daily feature was originally published on October 22, 2014. The whole world is dotted with magnificent megalithic structure that are built “up” (such as the pyramids) or at high elevation (at least relative to the surrounding area) such as Machu Picchu and Oyllantaytambo http://tauri-au.blogspot.com/2014/06/ I have a suspicion that these structures are ultimately Sumerian in origin and would be the kind of thing called “high places. Zigarrut also of course. Ultimately many of these structures are variations on a them of a stepped pyramid. For example Pagodas, while not instantly recognizable as pyramids are actually stepped in that manner (though the great pyramid is covered over and doesn’t appear stepped). Prof. White, Excellent much for me to learn. Keeping the story straight, protecting the truth is vital for the Faith. Two places for corruption, local priests low level independence and high level central leadership corruption. Both are natural. Before wide spread religions writings existed to shape and guide truth was based on memories. By calling the nation together three times a year the great assembly reaffirmed the truth both correcting the local and limiting the error of the high. The natural tension between the local and the central is reflected in the high places and the temple. Thank you for this very beautiful article. However, I would like to have archeological remark in reference to the parable of the wicked tenants Mark12:1-12 or such practice. Your article is so well written I could almost cry. Iv’e been wondering about the Boy Profit Issah an Iron Crown with Iron Horns on it to smoe King I think that it was Jerobam. On the twin Assyrian Winged Bulls in the British Museum you can see the Human heads are wearing little caps or Helmets with six horns on them. Should we be thinking Baal ——>king or General. I assume that Iron age Armes are bigger than Bronze age armies. That the fertile cresent is more populated than it was in the Time of the 18 th dynasty. The armies of Egypt, Assyria, and Israel are full of foreign mercinareies there is greater competition for aridable land and water resources. Maybe symbols and concepts like the Lord or Baal. Are being smeared into many meanings. I think Egypt is ruled by the 26th dynasty as Assyria is ruled by Sargon II. Before King Ahab leads the Armies of Israel and Juddah at Rmalath Gilehad he prays to Bealzabub. I assume that Bealzabub is a mistranslation. But from what is it a mis translation of? Should we assume that Ahab husband of Jesabel (a Daughter of Sidon ( Princess of Sidon)) was also praying to ir invoking a Phonecian God. Maybe had a few Phonecian soldiers in his armies. It seems to me that the decendents of Omri where always doing something very none Kosher, like praying to seberal Gods like Bealzabub. If they sacrificed an animal, did they get to eat the meat afterwards? Check your scripture references because some of them are wrong. The Hebrew word generally translated “high places” (ba·mohth′) is usually associated with worship, but it can also simply refer to elevations, hills, and mountains (2Sa 1:19, 25 [compare 1Sa 31:8]; Am 4:13; Mic 1:3), “high waves of the sea” (literally, high places of the sea) (Job 9:8), and heights, or “high places of the clouds” (Isa 14:14). Evidently the expressions ‘to ride upon earth’s high places’ and ‘to tread upon the high places’ are to be understood as signifying victorious subjugation of a land, for one controlling all the high places, that is, the hills and mountains of a country, is, in effect, the lord of the land.—De 32:13; 33:29. Centers of False Worship. High places, or the sites or shrines where idolatry was engaged in, were to be found not only on hills and mountains but also in the valleys, in streambeds, in cities, and under the trees. (De 12:2; 1Ki 14:23; 2Ki 17:29; Eze 6:3) They were equipped with altars for sacrifice, incense stands, sacred poles, sacred pillars, and graven images. (Le 26:30; Nu 33:52; De 12:2, 3; Eze 6:6) At many of the high places, male and female prostitutes served. (1Ki 14:23, 24; Ho 4:13, 14) Frequently the high places were the scenes of licentious rites, including ceremonial prostitution and child sacrifice.—Isa 57:5; Jer 7:31; 19:5. There were also houses, or sanctuaries, of the high places where priests officiated and where the images of the deities were kept. (1Ki 12:31; 13:32; 2Ki 17:29, 32; 23:19, 20; Isa 16:12) Thus, the designation “high place” may at times refer to such a sanctuary rather than to an elevated site for worship. This is suggested by Ezekiel’s reference to high places of varied colors. (Eze 16:16) Perhaps these high places were tentlike sanctuaries. Before entering the Promised Land, the Israelites were commanded to destroy the sacred high places of the Canaanites and all the appendages of false worship associated therewith. (Nu 33:51, 52) But the Israelites failed to do this, and after the death of Joshua and the older generation, wholesale apostasy set in.—Jg 2:2, 8-13; Ps 78:58. Very interesting article which bravely confronts some of the dichotomous attitudes to high place worship and bamahs. Several facts seem to be overlooked, by Ellen White, and most scholars who look at this subject. It may be unpalatable but the size and design of the bamah illustrated is almost identical to the altars seen in 18th dynasty Egyptian temples. This fact probably colours the attitude of religious authorities, ‘ …. Why the bamot are so problematic’., to worship in high places and bamah. Further confirmation, and there is a lot more, that there is an Egyptian dimension to the practice comes from the phrase “the place where God is to set his name”, which White says is only found in three Old Testament books, Deuteronomy, Chronicles and Kings. Significantly it is also found in the Amarna letters, where the phrase occurs in relation to worship of Aton, which of course is the Egyptian version of Adon – the equivalent of the Israelite God. @Collette: You wrote your own bible? Your quote “The cave that Enoch and Moses lived in before the flood…” Since Moses lived before the “flood”??? – Moses never was in Babylonia… but only some km east of the Jordan river. Is this “bamah” same as “bema” in Matthew 27:19? There is dominion- connection here. Evidently kings directed those offerings. BAR- article is fine. Estimate of kings and much more. The dominion of Jesus comes about love. Oh….and just wait until you finally connect the dots and review the stories of Mount Olympus. I loved this article. It especially clarified for me the difference between the theology of the redactors and the theologies prevalent during the time period being written about.